Australian Unity Home Care Services has inked a seven-year lease on an A-grade office in the Parramatta CBD, representing one of the largest office transaction in the western Sydney city for 2016. CBRE’s Luke Bryant and Stephen Panagiotopoulos negotiated the leasing of the 1,510sqm office space at 56 Station Street which comprises a full floor office spanning 1,103sqm and a ground floor showroom of 406sqm. The office space for the building was marketed for $380 per square metre net. 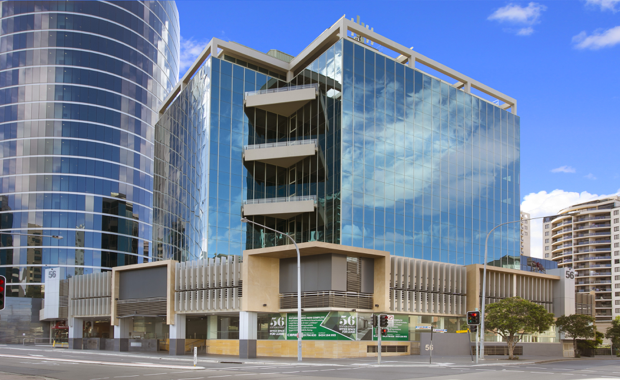 The Station Street address comprises a refurbished A-grade office building in a central position within the Parramatta CBD. Mr Bryant said the building’s high quality and opportunity to provide a ground floor presence was paramount to Australian Unity’s decision. “In addition to offering a high quality space, the proximity to the transport interchange, local services and amenities further substantiated 56 Station Street as a clear front-runner for their accommodation,” Mr Bryant said. Mr Bryant said the deal was further evidence of Parramatta’s growing profile as a dual-CBD and business destination.